"They will be sold immediately." Police just raided several sites in the Czech Republic and discovered something truly chilling. At a Vietnamese market in Prague, police discovered tiger meat and products for sale. 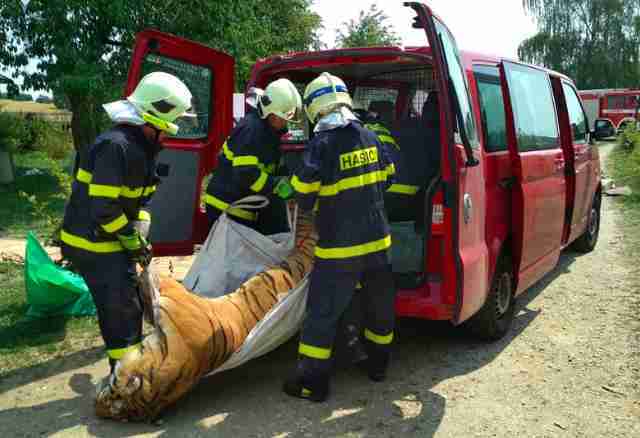 At a property, police found a dead tiger. They also found an odd broth made from tiger body parts and discovered that people had skinned a tiger who had been shot. "The suspects were shooting the tigers in the eyes to not damage the skins and ... the tigers were killed and used to make tiger broth," Four Paws, an international organization that's working to protect animals from the wildlife trade, announced this week. Tigers are teetering on the edge of extinction, yet the endangered species is being bought and sold at an alarming and hard-to-track rate across Europe. 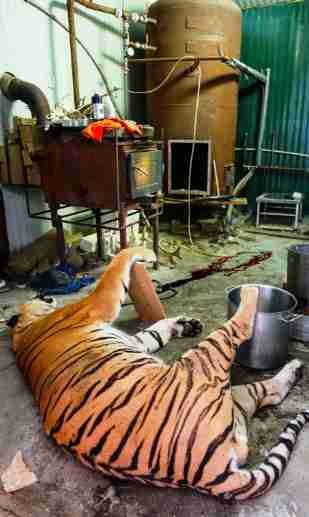 Those in captivity are often traded for circus performances and in some cases end up being slaughtered for their distinctive pelts, as well as for their bones, which are used to make tiger bone wine in the Far East. Many conservationists are aware of the tiger trade across Asia, but what Four Paws International just discovered about a compound in the Czech Republic confirms that the ruthless trade of this endangered species is operating in Europe, as well. 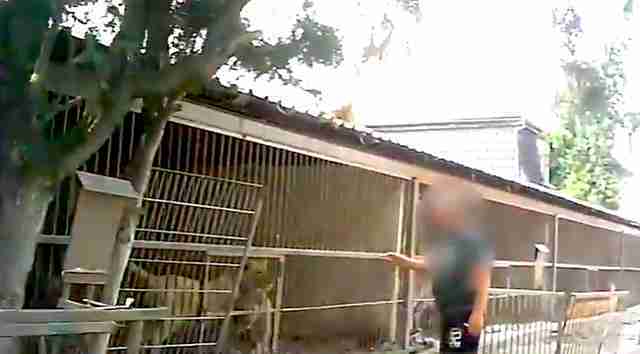 Undercover footage shot by Four Paws offers a glimpse of what this trade in Europe looks like. "One of the target facilities raided this week belonged to well-known circus leader, Mr. Ludvik Berousek," Four Paws wrote in a press release. 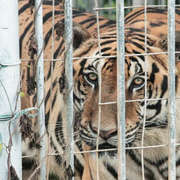 "Berousek ... proudly showed his tiger breeding facility near Prague and discussed the sale of tigers to Asia. Berousek offered to sell the tigers to Asian buyers and to help facilitate the documents and transfer and boasted that he had already sold tigers to China in the last three months." 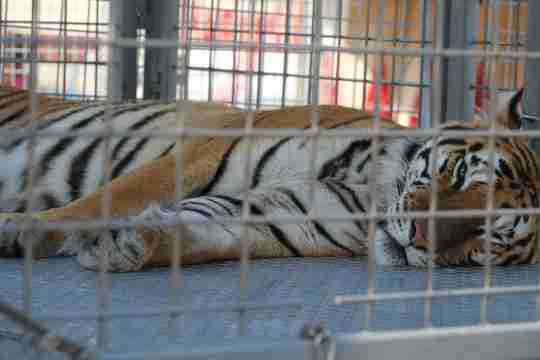 The tigers in the concrete cages were currently being used for a performance of "Carmen" until the end of the summer. After that, "they will be sold immediately," Berousek said. 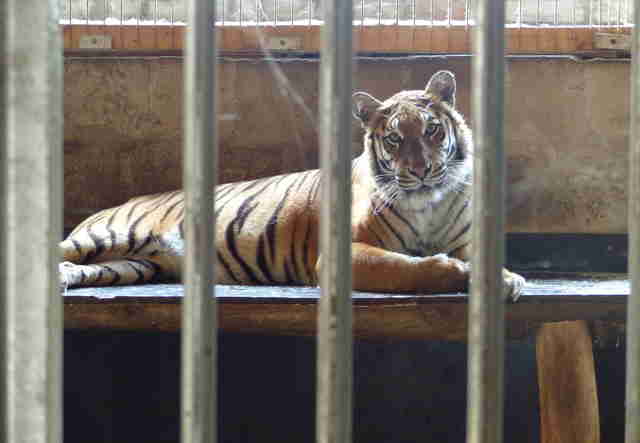 After the raids, it is not yet unclear what the fate of those captive tigers will be. Thankfully, the recent busts have helped expose the trade of tigers in Europe — but much more needs to be done to make sure the endangered animals are protected. In the last century, the population of wild tigers plummeted 90 percent, which makes it more puzzling that it is still legal to sell captive tigers in Europe. Over 18,000 people have now signed a petition to ban the tiger trade in Europe. "The shocking truth is that tigers, born in captivity in Europe, can still be bought and sold for all kinds of purposes including use in circuses, or as tourist attractions, or even as a private pet," Claire LaFrance, director of communications for Four Paws, told The Dodo. "In the worst-case scenario, some of these tigers will end up being killed and processed for their body parts." There are fewer than 3,900 tigers left in the wild, and many are being poached so their parts can be used in tiger bone wine and traditional medicine. Project C.A.T. is working to protect tigers for years to come by supporting nearly 2 million acres of protected habitat — part of a global effort to double the number of wild tigers by 2022. Find out how you can help here.